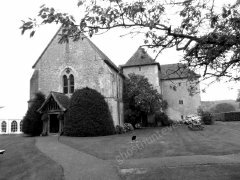 St Augustine's Priory at Bilsington, Kent was founded by John Mansel in June 1253 with the consent of Henry III and the Archbishop of Canterbury professing the rule of St Augustine. The foundation charter was confirmed by a charter of Henry III, dated 12 June, 1253, which was confirmed afterwards by Henry VI in 1444 and Edward IV in 1466. Bilsington Priory was surrendered to the crown in 1535 and it was abandoned at Henry VIII's dissolution of the monasteries in 1538. 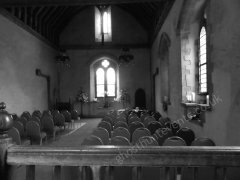 During the Second World War troops were billeted at Bilsington Priory and at some point it was also an infirmary. Bilsington Priory has had a long and varied history and during our site visit we came across two Canadian Soldiers from the Second World War and a lady in Victorian dress lazing near to the pond. 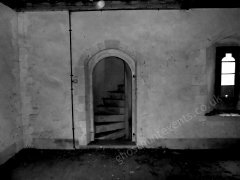 Read our Investigation Reports from Bilsington Priory Ghost Hunt. Thanks so much, was a truly amazing event. The dowsing rods were particularly powerful for me, as was the spirit circle. I was a bit overwhelmed by the table and oujia! Wow! what a night at St Augustines priory!! !...loads of activity, plenty of spirits that wanted to have fun and games!! !..GHE are the greatest!... thank you once again for a wonderful night!!!! Thanks again to the GHE crew for making us feel so welcome again! !